Fall break was upon us here in Madrid, as some students prepared to go on the group trip to San Sebastian and Bilbao others were prepping for Ireland, London, Amsterdam, Switzerland, Paris, Rome, and more and I was prepping for the trip of a lifetime. On Saturday October 19th I packed up my duffel and set out for my first ever solo trip. My first stop was Munich, Germany. 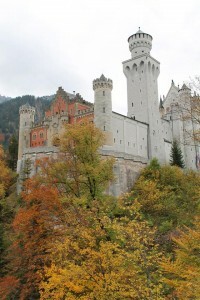 I spent two days exploring the city and venturing outside of it to see the Neuschwanstein Castle. This was about a 2 hour train ride outside of Munich and was built beginning in 1868 and was ready to be lived in by the end of 1873 though renovations were continuous. 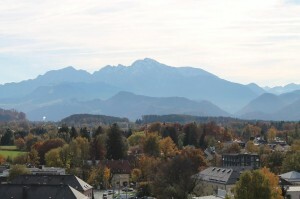 Settled on the mountains, it was a retreat for King Ludwig II who did not like to be around people. The hike up to the castle could take quite a while but I enjoyed a trip in a horse drawn carriage up to the top to see the castle below. 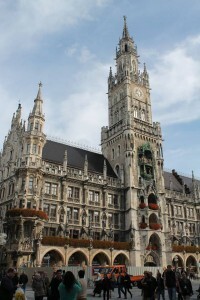 The next day I got to see the Glockenspiel in the centre of the city. The Glockenspiel in a huge cuckoo clock that chimes at every hour. At 11 am everyday the chimes are special. Once the clock stokes 11 the music starts, and the figurines around the clock begin to move. 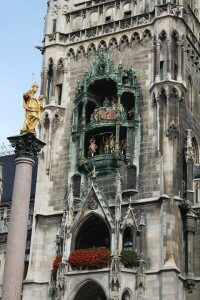 I have known about the Glockenspiel for quite some time now and was ecstatic to watch the show. Although I’m 21 for about 5 minutes I felt like I was 4, it was really enjoyable. After the glockenspiel finished I enjoyed my first authentic German pretzel and visited a number of churches in the area. That night I was on my way to Oswiecim,Poland. I took my first ever night train, let me give you a little advice: never take a night train that arrives at your destination at 4:45 in the MORNING! Yes, I arrived in Oswiecim, Poland at 4:45 in the morning and waited till Auschwitz was open for tours. World War II is the time period in history that intrigues me most. Everyone has history that they love to read and watch movies about and WWII is mine. 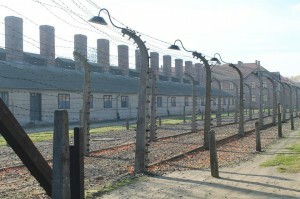 I have always wanted to go to Auschwitz since the moment I first learned about it. My second piece of advice comes now: don’t go to a nazi concentration camp by yourself. There is a lot to process throughout the experience and it can be nice to talk about it with a friend. It took me two days to really process everything I saw. Auschwitz was an awful place but it holds so much history. It was weird to think that I stood in the same place as thousands of people who were persecuted for the most absurd reasons. I stood where thousands upon thousands of people died… I can never forget that. The image is burned in my brain. I have so much to be thankful for and so much that I take for granted everyday. Below are just a couple images of the entrance to the camp. 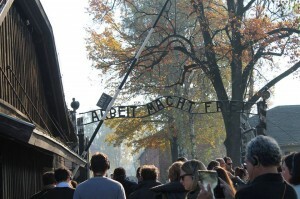 After I left Auschwitz, I headed to Krakow to catch my night train to Vienna Austria. It was the beginning of the the end for my week of travels. Austria has always been a place that I wanted to visit and I couldn’t wait to get it started. Vienna is the city of music, of Mozart and more. I enjoyed sitting in the outdoor cafes listening to the quartets play away to those passing. I saw several churches, theatres, and walked through the major park in the city. Vienna is definitely one of the prettiest places I have ever been. To end my 9 day journey I hopped on a train to Salzburg. This was the moment I was waiting for, the cream of the crop, the holy grail of european cities; I was entering the city where my favourite movie EVER was filmed and historically took place, The Sound of Music. 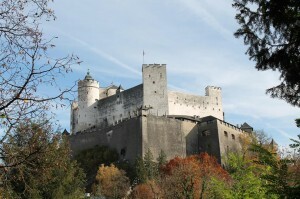 Salzburg is the most beautiful place I have ever seen. I visited every significant site from the movie. I walked up the mountain that the city is built out of, I ate schnitzel and bratwurst, and I rode a bike. To be specific I participated in the Fraulein Maria Bike Tour, it was easily the best experience I have ever had; if I felt like a 4 year old at the Glockenspiel, I felt like a kid in a candy shop for two and a half days while I was in Salzburg. 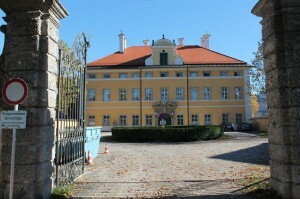 My hostel even showed the movie every night at 7, and yes I watched The Sound of Music 3 nights in a row. 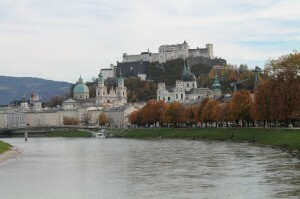 Even though I spent such a short time in Salzburg I know it is the place for me! I can’t wait to go back some day. Enjoy the photos of my favorite place! And, check back to see where the end of my semester takes me! Just call me a jet setter! I apologize to those of you who actually read my blog that it has been a month since my last update! Let me share with you everywhere I have been! I have been to Segovia, Spain, Lisbon, Portugal, Barcelona, Spain, and La Mancha, Spain. It has been an amazing couple of months so far in Europe. The last three places I visited were just breathtaking. Lisbon, Portugal is built on 7 hills. This Texas, born and bred, girl thinks that hills are small and easy to climb over. Hills in Europe are like mini mountains. I got the best workout ever those three days in Portugal. I saw castles built by the moors, tasted my first nata (a cream filled pastry, kind of like custard) it’s heaven in a pastry, and I bought a Longchamp bag (fashion is my secret passion in life)! Of course I have to do a little shopping while in Europe. 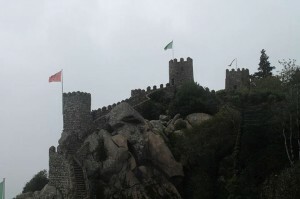 The pictures below are of the view from one of the castles I saw and the amazingly delicious Nata! After Portugal I was off to Barcelona for a little adventure in my own back yard. Barcelona is located in the autonomous region of Catalunya in Spain. The first language of this area is Catalan, not spanish. Again this created some interesting interactions with locals like in Portugal. I spent much of the weekend in the land of spanglish, a nice mix of both spanish and english. 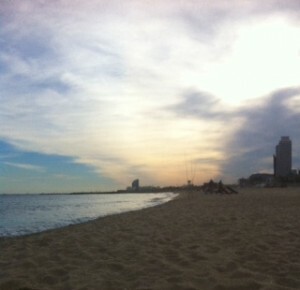 Barcelona is a beautiful city with a perfect mix of urban-ness and beach. 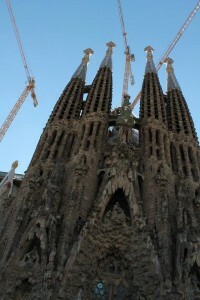 My favorite site in Barcelona was the Sagrada Familia. This basilica was designed by Gaudi and after a fire it was reconstructed and much of it is still be renovated today. The amount of detail on the outside alone could keep you looking for hours. Compared to the outside the inside is quite simple with the focus on the many stained glass windows. It’s hard to keep your attention away from all the colors coming inside. I also visited Park Güel, a park in Barcelona that showcases many smaller designs by Gaudi and the picture perfect views of Barcelona. Below are two different views of the Sagrada Familia. The following weekend after Barcelona I visited Chinchón and La Mancha, two small towns near Madrid. La Mancha was my favorite of the two towns. 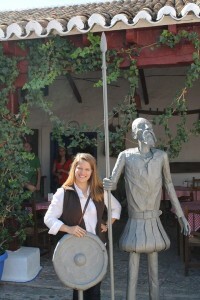 For those that don’t know, La Mancha is the setting for one of the chapters in the book Don Quijote de La Mancha. This is a novel written by Miguel de Cervantes about an old many who believes he is a knight. It tells about him and the trouble he finds himself in. 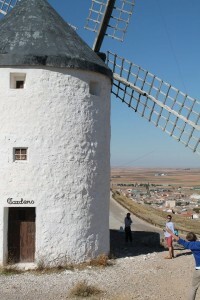 La Mancha is the site of many large windmills. In the story don Quijote believes these windmills are giants that he must battle to protect his town and beloved Dulcinea. I have read several chapters of the over 1,000 page novel several times and was thrilled to reenact the fight with the windmills. Check them out below, they’re HUGE! I have been pretty blessed so far in Europe and I couldn’t be more excited for the adventures ahead. 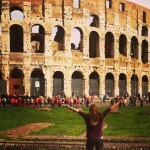 Check back to find out what I did for 9 days by myself in Europe! Sometimes I start to feel homesick and decide I’m ready to go home and see my family; but then other times, like today, I realize how amazing I feel here and how many great opportunities I’m experiencing! I spent the weekend of the 7th-9th exploring Barcelona with Catie. On our first night we experienced the Spanish night life, which was definitely a cultural difference. After a pub crawl sponsored by our hostel, we went to a popular night club for a while. Around 3:00am we decided to head out, and as we were leaving there was still a huge line of people waiting to get in! I could never just be going somewhere at 3am, that’s just crazy. The next day we spent the whole afternoon laying on the beach and walking along the beachfront. That night we went to the city center for some shopping and dinner – seafood paella! It was great. 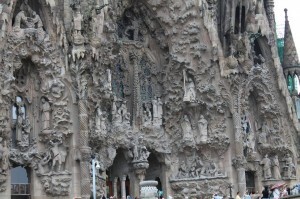 On our last day we went on a walking tour around Barcelona and visited the Sagrada Familia. The weather was great, and it was very refreshing to see a beach and blue skies after 2 months in London. I was worried about Dallas all week. He got bit by a spider or something in Brazil and had to go to the hospital. I just hope he’s better by December! This past month I went on a trip with a tour group to Amsterdam and Bruges. Both places seemed surreal. Amsterdam, in particular, was unlike anywhere else. Some parts were gorgeous with huge houses lining the canals. We got to go on a canal boat tour one night and it was very very cool. Yet, the rest of the city was noticeably dirty and smelly. 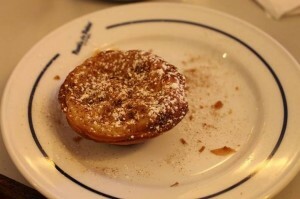 We walked through the infamous red light district and ate some famous Dutch pancakes. 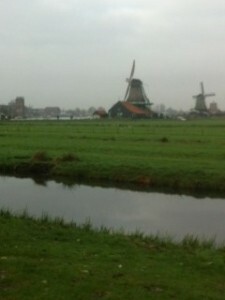 The next day we went to a very rural area and saw beautiful windmills, a cheese factory, and a clog factory. Then in the afternoon I visited the Van Gogh museum and the Anne Frank House. Both were awesome! The following day we drove to Bruges in Belguim. The whole place felt like a scene out of a medieval fairy tale. I ate a Belgian waffle and frites (French fries), which are actually Belgian but the first American to see them heard the Belgians speaking French and assumed they were a French thing. Silly Americans. 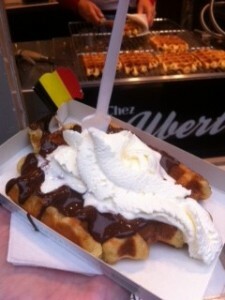 I also got some of their famous Belgian lace and chocolate! I’m going to try to be very productive with my schoolwork this week. I already wrote a 1500 word paper today! Tomorrow I’m going a show sponsored by USAC with all the other students in the program. It should be good. Next weekend I’m heading to Vienna and Prague. It’ll be my first trip completely on my own, but I’m used to getting around now so I think I’ll be okay. Only 5 more week to make memories! Time has really flown by. For the past two months, I’ve been seeing familiar faces from home. I’ll be walking down College Road on the way to the library at UCC and catch a glimpse of so-and-so from high school. Or while grabbing a hot chocolate with extra whipped cream (yes, I am five-years-old, thank you very much) I’ll know I’m staring at what’s-her-name from the Starbucks on Sheridan Road. That-one-guy from work is definitely sitting in front of me in Modern Irish. 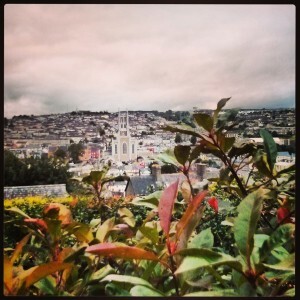 The lovely sprawling city of Cork. It’s not them. Of course it’s not. But my mind has played this trick on me so many times that I’ve started cataloging which lookalikes I’ve seen. It’s turned into a game, almost as if I’m trying to collect all the familiar faces before I fly back to the U.S. I’ve even given this phenomenon a nickname: Doppelganger Syndrome. And if that’s not weird enough, I’ve started having flashes of places around Chicago and Batavia. In the middle of reading about the 1937 Irish constitution, I suddenly see the Walmart parking lot on Kirk Road. I just don’t get it. It seems like these images keep bubbling up to the surface because some small part of me is afraid I’ll forget them. To be honest, seeing bits of home is a comfort. I like being surprised when boy-from-freshman-year-dorm stands in line behind me at Tesco. My face splits with a goofy smile when a snapshot of the windmill off of Route 25 crosses my mind. Even as I cling to these images, they help me settle in to my new surroundings. I can carry them around with me. They calm the fears that I’ll forget things about Cork when I go home, too. Maybe in four months, that afternoon I stood in the spitting rain watching the River Lee push beyond its banks and tear through the trees will meander on by as I’m sitting on the Red line. 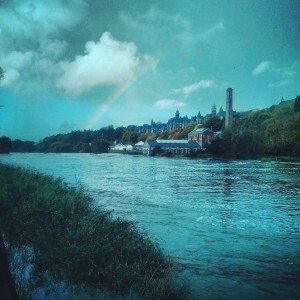 The River Lee accompanied by a rainbow. It’s funny what will wedge itself into your mind. It’s even funnier how much those strange moments, places and people will mean to you when you’re thousands of miles away from home. Side note: I’m saying this because, well, I can. I’M OFF TO PARIS IN THE MORNING! Cheap as Dirt- Granada, Spain! This past weekend my roommate, Yarden, and I took a spontaneous trip to Granada, Spain. After a 5 hour bus-ride we arrived at our hostel in the Arab district, which was absolutely phenomenal. The streets leading to the hostel were cobblestone and lined with many little Arab vendor shops with leather goods, mosaic tiles, jewelry, hookah, and henna. The first day we enjoyed tapas and tinto (wine and Sprite) at a little restaurant called Babel. 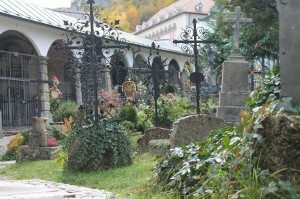 After, we explored the city and stopped by a monastery with beautiful grounds that overlook the city and mountains. We then walked around the grounds of the Arab castle Alhambra, but not before having a glass of sangria at the Alhambra terrace. 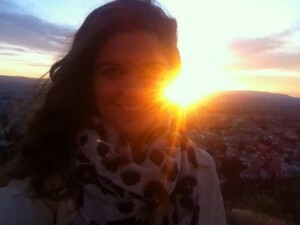 We also climbed to Mirador San Nicolas, a famous lookout point, and watched the sun set over the city and behind Alhambra. Sitting there and enjoying this beautiful sight was definitely one of the highlights of the weekend. We were also fortunate enough to be able to visit Alhambra and explored inside and around the grounds of the castle. There is a huge garden attached, called Generalife, and is a terrace of plants and flowers atop the mountain. That night, we climbed to the highest peak of the city to a church, which is another common lookout point for sunset lovers. The cobblestone/all stairs hike was a workout, but being able to see the sunset over the mountains and the entirety of the city was an incredible reward. The night before we left we went out with Yarden’s two friends who were visiting Granada as well and had tapas, sangria, and a fishbowl. Every time I ordered something, I would stare in amazement at the low cost of the receipt. The most interesting meal I have had while abroad was in Granada. Yarden and I split a meal of prime rib strips. The strips were served raw with fatty strips of meat accompanying them on a hot platter, and we had to “grease” the hot platter with the fatty strips of meat and then place the prime rib cuts onto the pan and flip them as they cooked. We had to work for our meal, but it was extra satisfying when the steak finally cooked. The prime rib was mouthwatering. -Getting lost is part of the fun. -Not having a plan is also part of the fun. 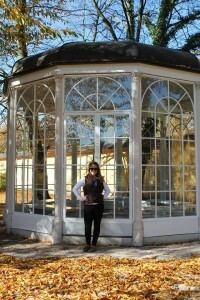 -Granada is FILLED with young people, and is similar to a college town. -Spaniards have no sense of sidewalk space- They walk SLOW, with linked arms, making it almost impossible to pass. -Time is going by too fast. In about a month I will be home. “Rasasvada” : the taste of bliss in the absence of all thoughts. These last two weeks were full of fun. After finals were finished it was time for everyone to let off some steam. The very first weekend I spend in Thessaloniki, Greece (northern Greece) with a group of students, SLAs Anna and Jenny and Sander Evers (the Great). We stayed in a 5 star hotel along the sea and were treated like gods, which is ironic because we were right across the street from Mount Olympus. During the day we went to archeological sights and museums to learn more about Phillip II and other Greek/Macedonian rulers. Then, at night, the manager and employees of the hotel would drive us into town and take us around to all of the different place to meet the Greek people that lived there. I never realized it was possible to get so close to your supervisors like we did with Jenny, Anna and Sander, without overstepping any boundaries that were set forth. But that is what is best about these side trips, they teach you a lot about yourself and those you surround yourself with. 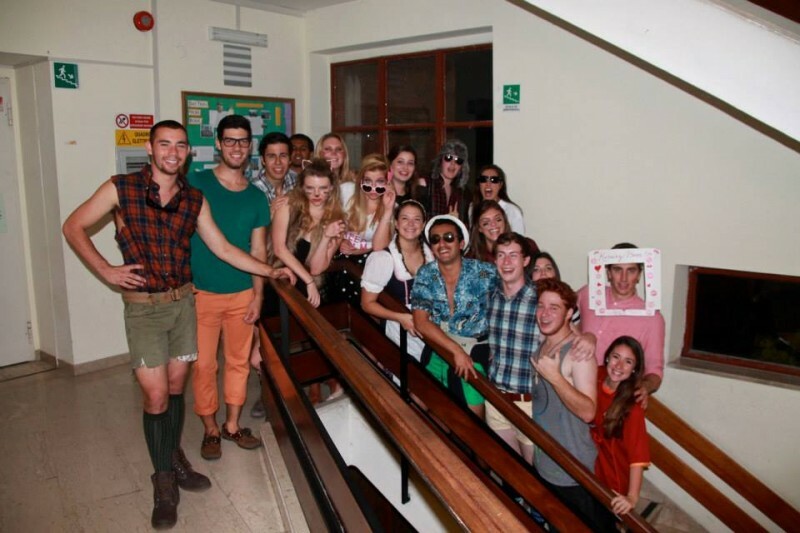 Then, during the week we celebrated halloween at JForce with a karaoke party. It was wild and everyone had a blast. Sadly, I lost my phone so the pictures from halloween on have been minimal. That upcoming weekend was the first weekend I spent in Rome and I was surprised to find that it may be one of my favorite places to spend my time. During the day a group of friends and I went to the Vatican just to have a look around. We were quickly overwhelmed by the massiveness of everything. We joked around that we were the least intelligent smart group of people because we were having discussions such as if it was possible to fit a million people just in the Vatican and the square outside. I argued that it was and I am still positive I am right. Then during the night we visited such places as Coyote in Trastevere, Gilda by the Spanish Steps and Art Cafe near Villa Buorghese. There was never a dull moment with the people I was with. At one point in the night that we went to Coyote, my friend Zach and I met two visiting naval cadets from the U.S. who were visiting Rome during their off time from Syria. We ended up walking around and talking with them until 6:30 am and were able to see the sun rise on the way back to JForce in the cab. Not many people can say that has happened to them at home or even abroad. Finally, one of the best parts (because I recently had a magnificent dream that I was eating Buffalo Wild Wings chicken wings for an entire day) we all finally found a burger place in Rome that served real burgers. To anyone coming to Rome anytime soon, it’s across from the Vatican and that is all I can say, but it was a hidden gem. I just want to take a second to thank all of you for reading my blog. I appreciate the support and I hope that it is stimulating in some way for everyone! “Dérive” (french) : literally means “drift;” figuratively means a spontaneous journey where the traveler leaves their life behind for a time to let the spirit of the landscape and architecture attract and move them. 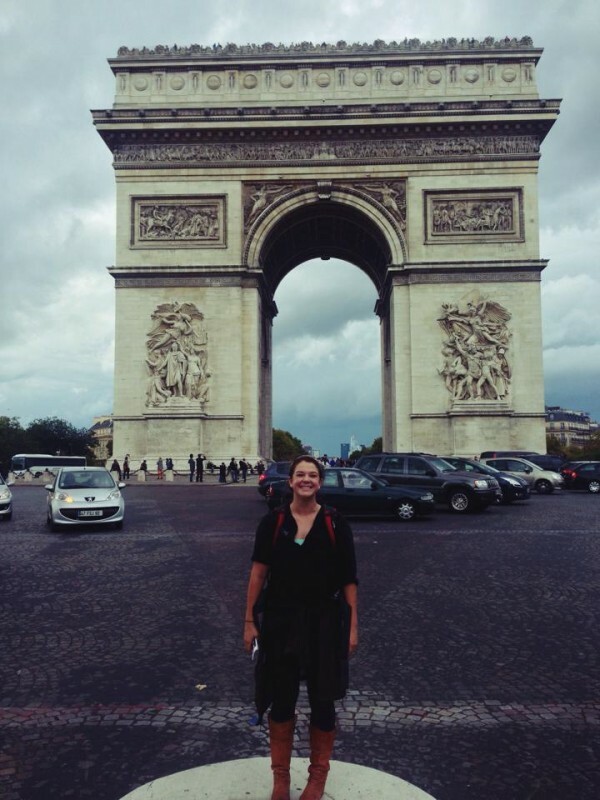 This last week was a whirlwind with midterms and papers and it was nice to take a quick break from reality and travel to the city (and country) of love – Paris! 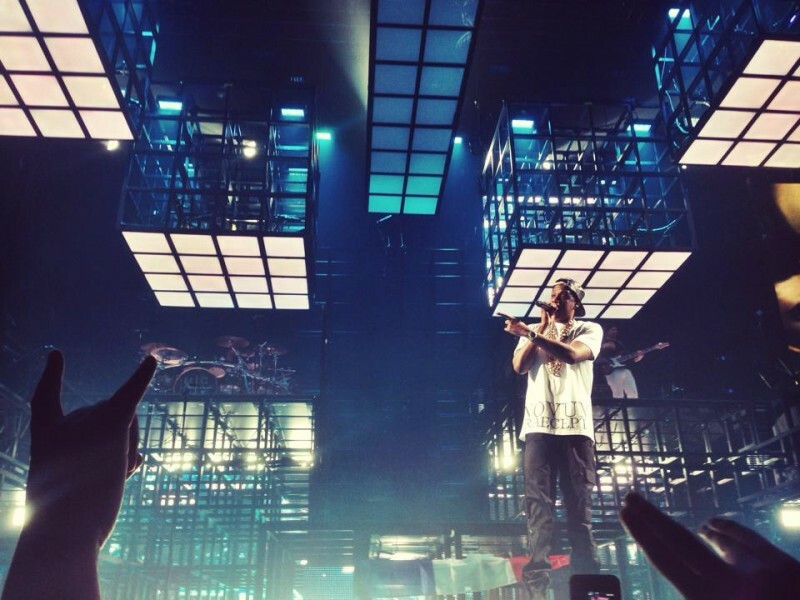 While my friends and I were there we visited all of the major sites and even made sure to add in a side-trip to a Jay-Z concert to boot (pictures will be added at the end, don’t worry). On Saturday I went off on my own and traveled around Paris in order to hit all of the major spots. It’s amazing how much more there seems to be in these European cities than there is in Chicago or even NYC. It blows my mind how at every turn there is some sort of history or some amazing building to witness. My friend Stratton and I even put a lock on to symbolize our future friendship as CEO’s. You can really put anything on there. I joked around with postcards to my family that being there I decided I wanted a boyfriend even after I had told myself that I’m not dating until I graduate college, but that place really makes you feel that way! Don’t worry though, it has worn off now that I’m back in Rome. I’m back on track there. 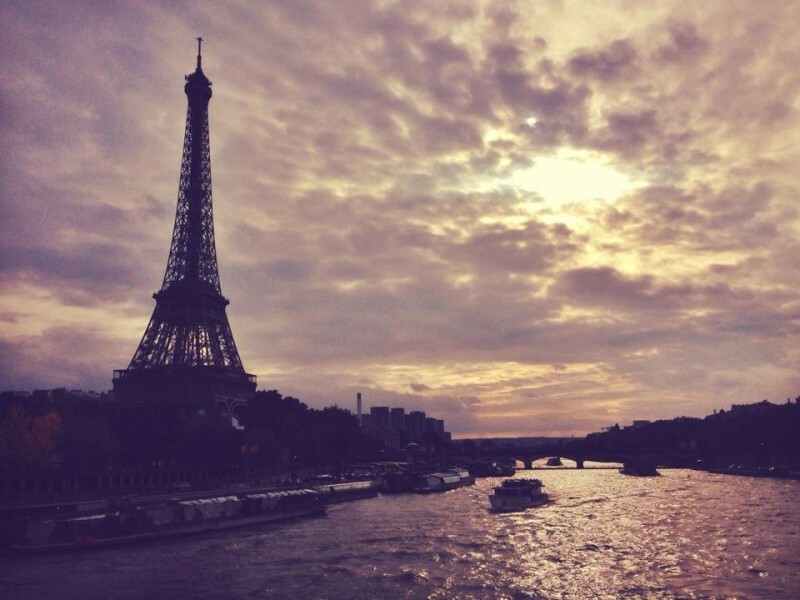 Anyways, out of all of the major cities I have visited in Europe, Paris was by far the most magical. 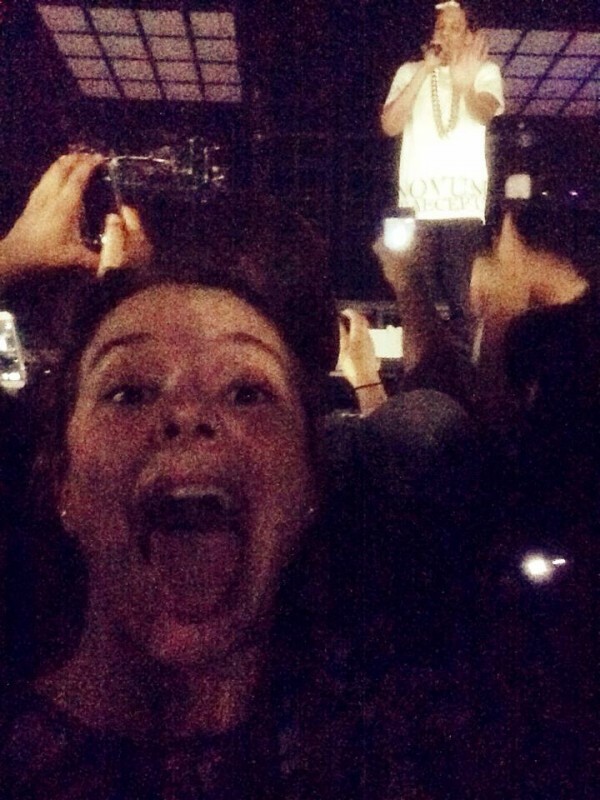 Here are two final pictures to show you how close I got to Jay-Z (anything is possible) in Paris. No zoom was used in the photographing of this amazing man. Enjoy! 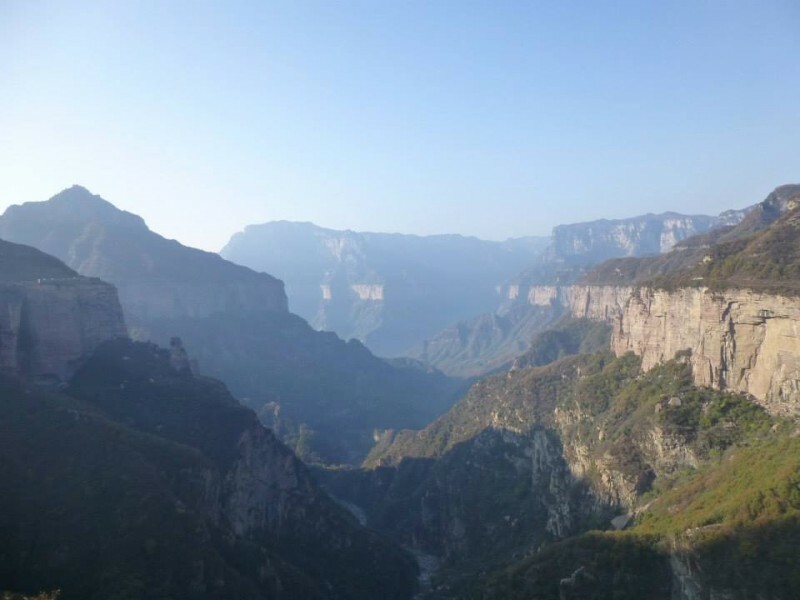 Our first stop was in Datong where we visited the Yungong grotto. There were multiple cravings into caves and rock walls of Buddhas and other Buddhist symbols. 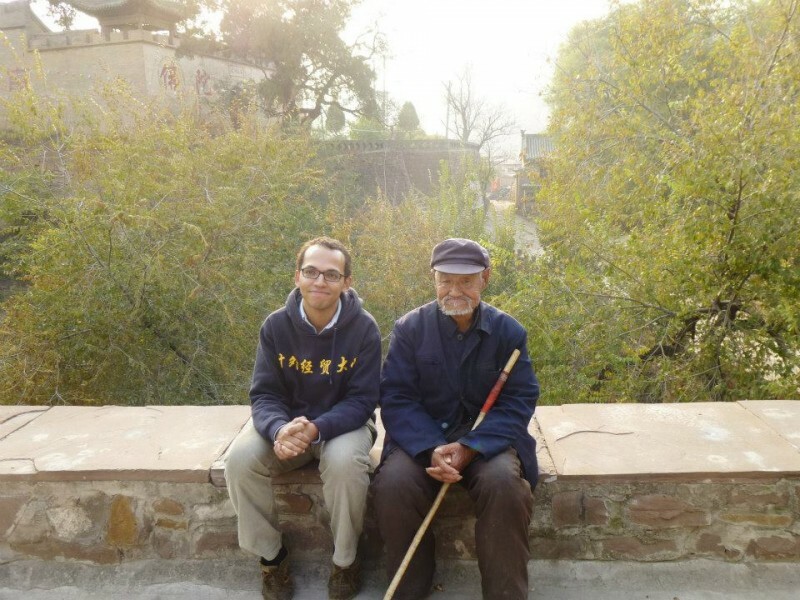 Our next stop was in a traditional Chinese farming village. We had time to explore on our own and a few of us ended up chatting with a local elder who was 90 years old and had lived there his whole life. There were two middle aged men who were sitting with him and the group of us held a conversation for a lengthy amount of time. One of the men proceeded to tell us about his time in the Chinese military in the 1980’s and took us to his home to show us pictures of him and his battalion. There he and his wife offered us hot water and told us about their two children, one boy and one girl. The daughter was 20, so right around our age, and had left for university in the city. She is studying music and piano and has concerts that run expensive tickets and usually sells out. The family was very proud of her and insisted on having us listen to her recorded music – very beautiful! Afterwards we returned to our courtyard where we were served traditional Shanxi food which wouldn’t be complete without numerous noodle dishes. Next we visited the ancient city of Pinyao where the area was very well preserved and still enclosed by an ancient Chinese wall. There were plenty of shops, temples and restaurants. Our hotel was a converted traditional Chinese mansion and the beds were a traditional kang style (one large bed elevated off the floor). 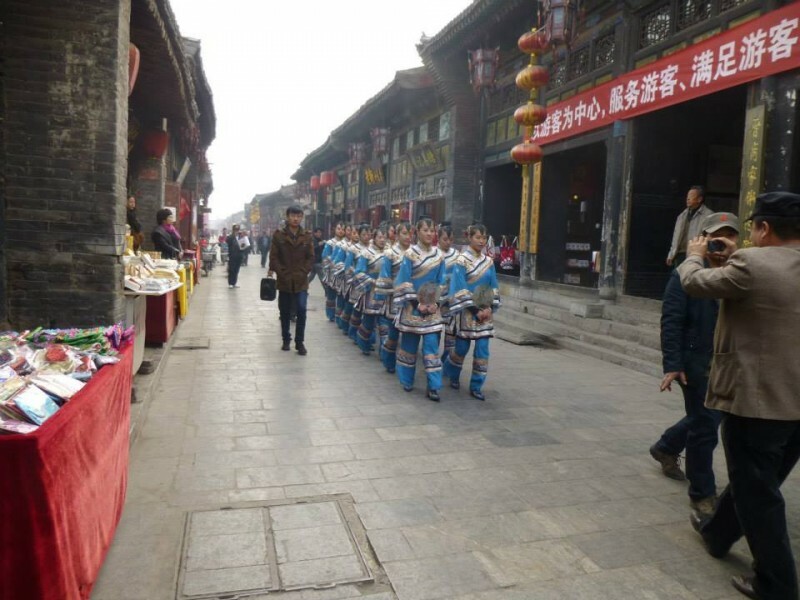 Every evening there would be a group of Chinese girls dressed identically that would pass through the streets with a man carrying a speaker blasting traditional Chinese music. It was amazing to be sitting in the lobby with wifi and then look out and see this hundreds of years old city light up with a mixture of traditionalism and modernism! Our last two nights were spent in a village in the Taihang mountains, which are located in the very southern part of the province. We were the first group of westerners to visit this village so we were welcomed with open arms, county and village leaders, and a news crew! After our television debut, we visited a local school with children in the first through sixth grade. We introduced ourselves and they returned the deed. Unfortunately our first day and a half it was rainy and the village was encased in a giant cloud. So, many of the beautiful peaks were invisible. But, on our last morning in the village, we had blue skies and it was as if the entire area lit up. The mountains and peaks were marvelous, varying colors and dramatic drops. 3 countries, 5 cities, 10 days. 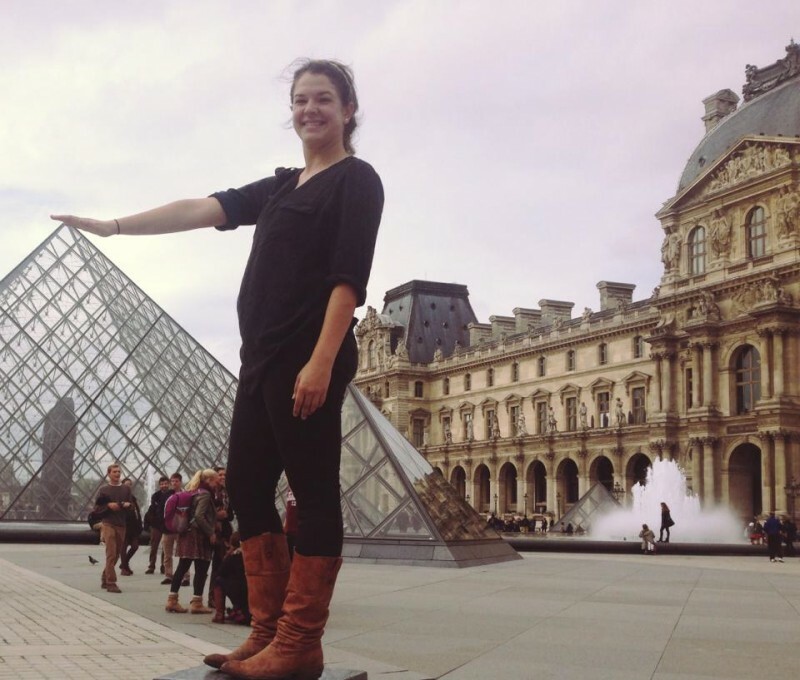 I took advantage of my 10 day fall break and traveled to Berlin, Rome, Florence, Paris, and Versailles with some friends. Needless to say, I was exhausted after this trip, but had many wonderful memories, have become more culturally diverse, and have strengthened my friendship with some great people. My first destination was a 3 day trip to Berlin, Germany. As soon as my friend and I got off the plane, we went straight for a huge pretzel and a brat, both of which were delicious! 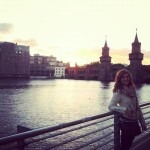 We stayed at a hostel that was 5 minutes from the Berlin Wall and the downtown area of Berlin. I liked the vibe of the area in which we were staying- It was full of young people who were hip and laid back. One of the days we went on a bus tour that highlighted the major attractions of Berlin, which included the international embassies, a Holocaust memorial, “Checkpoint Charlie,” Tiergarten, and a very beautiful cathedral. The architecture of Berlin was unique, beautiful and ornate, distinctive from the rest of Europe. The language barrier was ever present, and we had a very hard time communicating, especially since Spanish and English are so dissimilar to German. We found a cute pizza place near our hostel, and went out for drinks and burgers another night (sounds like I was in the US!). My favorite part of Berlin was walking along the Berlin Wall and looking at the beautiful murals along the wall. Berlin was a lot colder than I expected, and though there were some interesting things to see, I would have to say it was my least favorite city I visited. We were in beautiful Roma for 4 days and stayed in a hostel with a 5 minute walk to the train station Termine, which proved to be very advantageous when we took a day trip to Florence. We visited the typical tourist attractions found in Rome, including The Trevi Fountain (both during the day and at night), Piazza Navona, The Spanish Steps, The Pantheon, The Colosseum, etc. 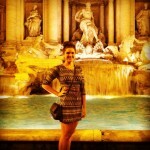 On our last day, we visited Saint Peter’s Basilica as well, and saw the Sistine Chapel. I absolutely LOVE the Roman style architecture and the cobblestone streets, even though they take a toll on your feet. I had margherita pizza or pasta for dinner/lunch, and gelato for dessert every single day, and loved it. I even experienced the nightlife- One of my friends from Loyola who is studying abroad in Rome took us to a club called Mood, where we danced and let loose for a couple hours. 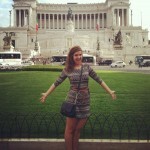 We lucked out because the weather was so nice when we were in Rome, so we were able to explore outside all day. 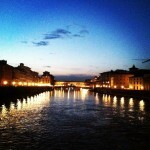 Florence was a nice day trip away from the hustle and bustle of Rome. We took a train about 4 hours away from Rome. We saw “David” by Michaelangelo, toured some churches, climbed a lookout point of the city during the sunset, and discovered a castle. My favorite part of this voyage was standing over a bridge at dusk and looking at the gorgeous cityscape. I went with a close group of friends, so that made the experience even more enjoyable. The more I think about it, the more I realize Paris was my favorite city to visit so far, and was a lot more beautiful than I originally expected. 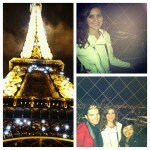 My favorite/most surreal part of Paris was going to the summit of the Eiffel Tower at night with my two friends. The whole time I had to keep reminding myself where I was, and the view was absolutely breathtaking. The Eiffel Tower “sparkles” for 5 minutes on the top of every hour, so I was able to see this from outside the Tower, as well as at the summit! We visited the Rose Window at the Notre Dame Cathedral, but not before we stopped for some CREPES from a street vendor. During my 2.5 days there, I had a caramel crepe and a nutella crepe (which was by far my favorite). We also visited the Mona Lisa at the Louvre and went to Museo d’ Orsay, which houses some of my favorite pieces by my favorite artists, such as Cezanne, Monet, Rodin, and Degas. 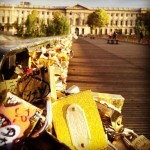 Our last stop was at the famous Lock Bridge, where couples write their names on a lock and chain it to a bridge. 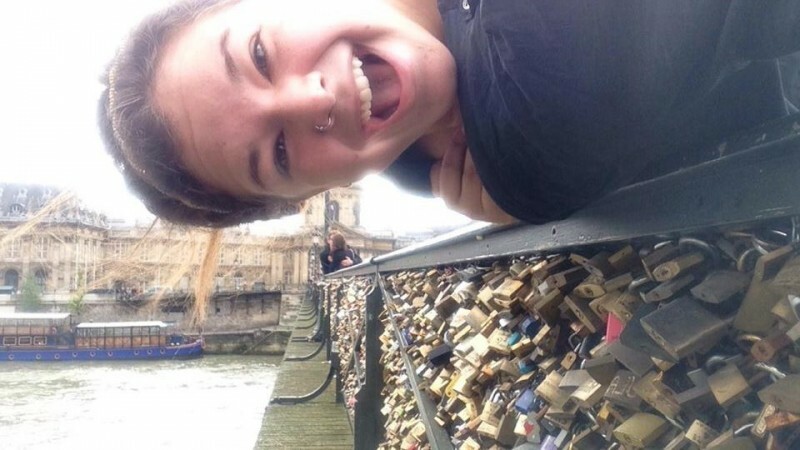 I was blown away as to how many locks there were… So many, in fact, that my friends who brought a lock to put on the bridge had a hard time finding a place to put theirs! Needless to say, it was a really sweet end to our trip. 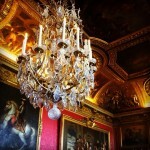 We visited Versailles as a day trip on our last day. The city is a couple hours outside of Paris, and there we visited the Palace of Versailles which was INCREDIBLE… Definitely worth the travel. The palace was built for the Spanish royals in the 1660’s, and this was probably the most expansive, beautiful, and ornate palace I have ever seen. We were on a time constraint, and couldn’t view all of the palace or the gardens, which are extremely expansive and are the major attraction of the palace. I would love to go back someday and finish touring the palace. -Paris is very expensive. One morning, I paid 7.50 euro (around 10 US dollars) for a chocolate croissant and half a cup of coffee. -Germans cannot locate the spot where Hitler committed suicide, because it is now a parking lot. -The Museo d’ Orsay (in Paris) was the old train station that was turned into a museum. -You have a high chance of getting hit by a bicycle in Berlin. No mercy. -If you are a student, museums are typically free. I don’t think I paid for entry to one museum while traveling.